Maui Wowi Hawaiian Coffees & Smoothies--The Best of Both Worlds! Maui Wowi Hawaiian is the only franchise that offers authentic, natural Hawaiian products, fresh-fruit smoothies, blended Hawaiian coffee beverages, and genuine Hawaiian lifestyle merchandise. Founded in 1983, Maui Wowi Hawaiian has experienced meteoric growth to include nearly 500 franchised units in our worldwide franchise “Ohana,” or family. We celebrate our Aloha Spirit by embracing the values of family, harmony, balanced living and abiding by the principles of sustainable living. • Smoothies are where specialty coffees were 20 years ago, which at the time was a growing but also very fragmented segment. Capitalize on your opportunity with Maui Wowi now! • Build your business as big (or small) as you wish: You can create a Hawaiian experience at a local community event, large venue, with as little as 60 sq. feet with our Ka’anapali mobile cart or build out a retail store from 600sqft to 1,200 sqft in a lifestyle center, mall, or by itself. Organically pollinated in 1983 by Jeff & Jill Summerhays. Maui Wowi was built to provide a quality of life for the Summerhays by marketing a healthy product unknown outside the state of California - fruit smoothies. All-natural, high in vitamins and low in calories, smoothies proved to be massively successful as an alternative to the sugar or fat laden offerings. From high volume locations such as the Salt Palace Convention Center, the University of Utah and the Utah State Fair to tiny fund raisers, the Summerhays' offered their fresh smoothies where ever they felt like going. Australia's Gold coast seemed like a beautiful place so they hung out there for a while where the Aussies loved their products as much as the Yanks. Soon they learned that when you travel to where the crowds gather, they needed to serve them fast and furious as you never know when the crowds will disperse! Over the years, the Summerhays packaged an all-natural line of proprietary smoothie blends by painstakingly creating their own live cultured non-fat yogurt recipe, researching exotic locations for their fruit juices, fruit purees and all-natural flavorings and blending them into what we consider to be the highest quality smoothie blend in the world. In 1997, Michael Haith, then a food & beverage consultant and seasoned Entrepreneur, met the Summerhays' at the Utah Arts Festival. The professionalism, the quality of the healthy product’s, the cash being stuffed into bags as fast as possible and finally the customers as raving fans was the 'icing on the cake'. Haith brought his seasoned business skills to the company and a franchise system was truly born! The concept is undeniable. A simple business, allowing local, franchised business owners to build their own businesses promoting healthy, quality products under the Maui Wowi brand umbrella. The demand for the products is undeniable. 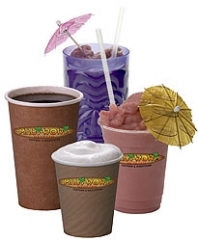 As our Hawaiian Smoothies had proven so popular, we then set out to bring Hawaiian coffees to the Mainland. In 2003 Maui Wowi Hawaiian added an exclusive line of Kona espresso and Cappuccino drinks as well as a gourmet line of blended coffees from Maui, Kona, Kauai, and Molokai. In 2006, we added authentic Hawaiian products that included but not limited to nuts, popcorn, cookies, teas, other coffees including 100% Kona. We have grown to become a cult brand offering the best of the Hawaiian islands. From our O’hana (family) to yours... Mahalo!